We’re glad you’re considering Illinois! We love the U of I and have found that it is a great place to grow in faith and we would love to have you journey with us! In IV, you’ll be encouraged to make your faith your own, develop as a Christian leader, experience genuine community, and join in our mission to reach our campus. If you will be making a campus visit to U of I, one of our staff or students would love to meet with you to tell you more about IV. Just fill out this form to let us know when you will be here and a chapter staff will get in touch with you. Attending U of I in the fall? Fill out this form and one of our students will visit you when you move to campus in August. Look for our tables around campus in August! 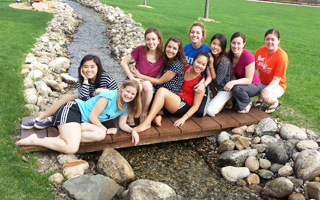 Each chapter gathers weekly for worship and teaching, and to hang out with friends and have a great time. IllinoisIV and ICF meet Friday evenings, GreekIV meets Wednesday evenings. IV students meet in groups of about 8 to study the Bible together, build friendships, pray, and live out Jesus’ mission to U of I together. Small groups meet in almost every dorm and some Greek houses. InterVarsity runs on student leadership, and leaders need training to be effective. Every year we look forward to chapter retreats, weekend training conferences, spring break evangelism and urban ministry trips, our post-finals training retreat week in May, and (every three years) the Urbana Student Mission Convention. InterVarsity focuses our witnessing outreach on “Groups Investigating God” (GIGs), which are Bible studies for non-Christians, led by a Christian friend. Last year 100 students were invited to join a GIG by their friends in IV, and about half of them joined! Is University of Illinois a place my faith can survive? Definitely! Not only can faith survive, we’ve found that college is usually a time of significant growth in faith for those who arrive with the intention of following Jesus. And many come to faith for the first time in college. The key is to stay in community with other Christians and ask hard questions as they come up, whether intellectually or experientially. What does InterVarsity do for fun? Lots. Besides occasional organized activities, there is all the hang out time with the people who live near you. The best fun and memories come from shared experiences with people you know well, and just enjoying life together. In InterVarsity you’ll connect closely with a handful of people in your small group, and hang out with 20-50 IV people in your dorm. 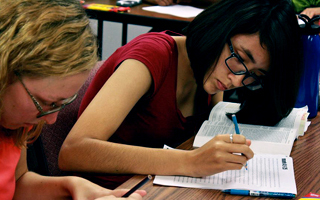 Are students serious about their faith? Many are. You will be glad to find out how much fun you can have together while growing deeper with God and taking risks to join Jesus in his mission here at U of I. Where do you meet on campus? Small Group Bible studies meet throughout campus, in your dorm or near where you live. For whole chapter meetings, IllinoisIV meets in a lecture hall or other campus building. Graduate Christian Fellowship meets in the Illini Union. 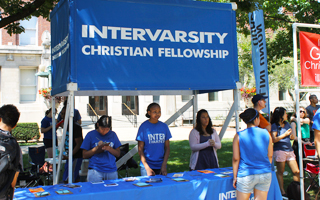 Who are the InterVarsity staff? There are about a dozen full-time staff working with the InterVarsity Chapters here at U of I to develop student leaders and coach them in their ministry. Most of them are alumni of one of the chapters here. I’m fellowship shopping. What’s great about IV? 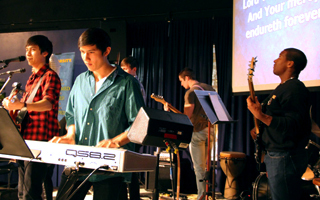 Staff train, coach and support students leading their peers in ministry, worship, planning, and the rest. This is a huge source of growth during your time here at U of I. Fun, interactive, student-led discovery discussion. We work hard to lead engaging Bible studies that get to the heart of the passage, and get the passage to our hearts. Once you try it, you’ll never go back. And you can keep pressing in with ongoing training in inductive Bible study at pretty much any IV conference. We love to introduce non-Christians to Jesus, especially by introducing them to the gospels. We’ve found that non-Christians feel respected and empowered, as they discover Jesus for themselves, and intrigued as they see that Jesus isn’t who they thought he was. As they spend time with the Christian community and learn more, they can move at their pace, asking questions, getting answers, and doing the necessary soul-searching. 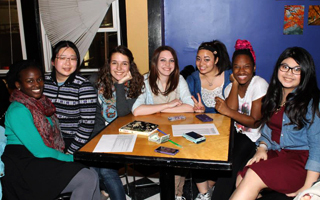 IV is probably the most racially diverse organization on campus, religious or secular. We come from many different backgrounds, and we can learn more about God from each other than we could separately. We get to experience the joy of worshipping in diverse community, and learn how the gospel informs our understanding of race and justice.